Our first Diva Foodies #FoodTVChat Open MIC was a blast! The time flew by with lots of great discussions about who, what and why we love our Food Tv. If you didn’t make it this week, we are planning to do a #FoodTVChat Open MIC on a regular basis, maybe even once a month. In the meantime, below are some of the highlights from last night’s #FoodTVChat where it was all about YOU and FoodTV. 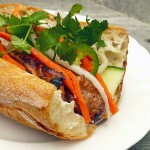 And what is Banh Mi? Now we know! 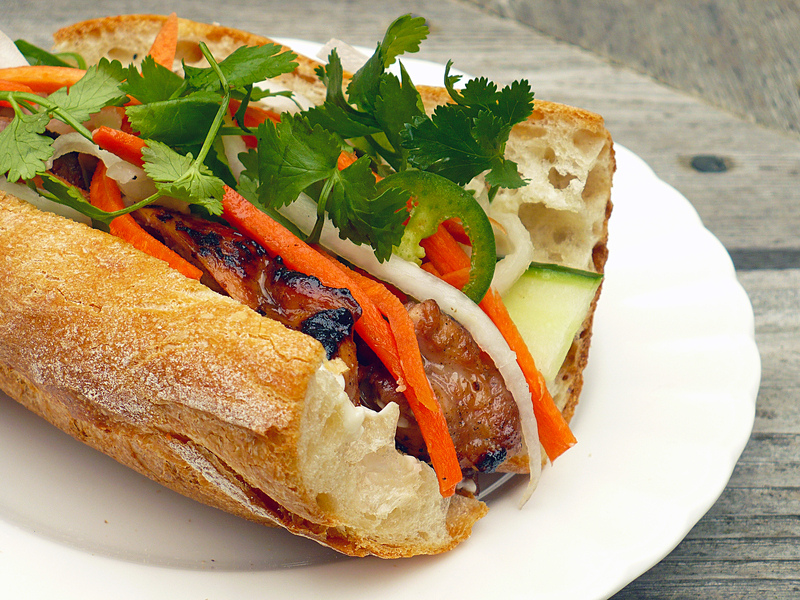 You can follow the entire #FoodTVChat here. 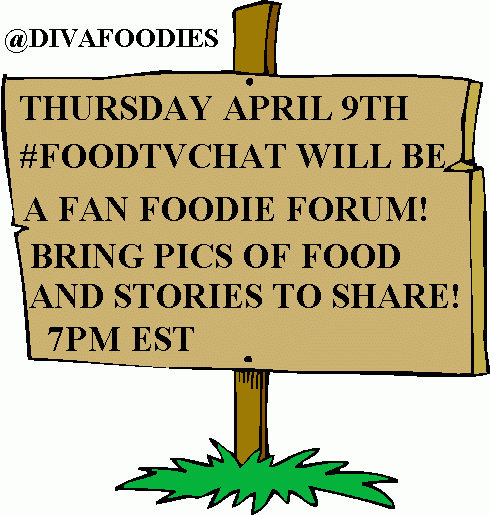 And join us on Twitter next Thursday and every Thursday at 7PM Eastern for #FoodTVChat.